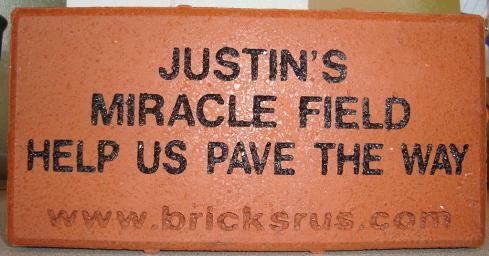 We are excited to offer these awesome finished bricks that you can engrave with your special message or family tribute. They will be set in the area surrounding Justin’s Miracle Field for all to see when they come play or visit! We are offering 2 sizes as described below. Our Miracle League of Camden County Logo can only be added to the 8X8 sized brick. You can order online and pay securely using PayPal or you can download our order form and mail it to us. Please note that we will collect orders until we get 20 total orders before we place our order. So, please don’t worry if you don’t hear from us immediately after placing your order. 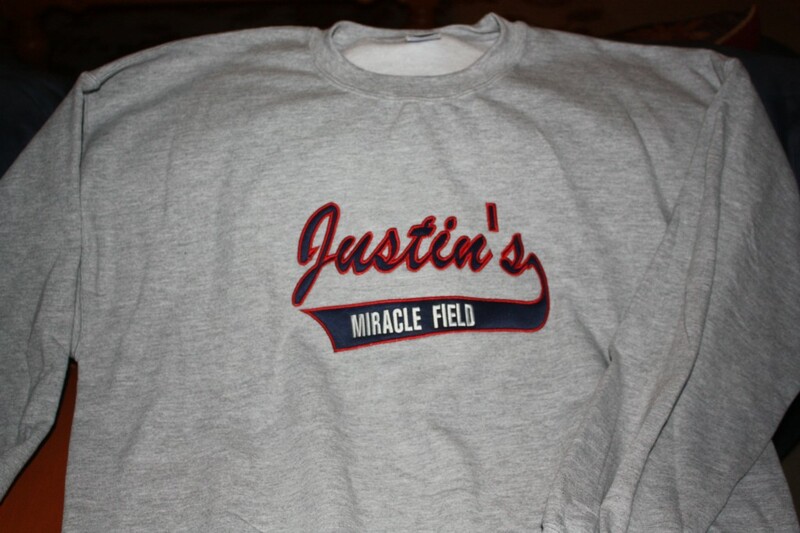 “Justin’s Miracle Field” and “Established 2011″ and also feature a baseball and the handicapped symbol. 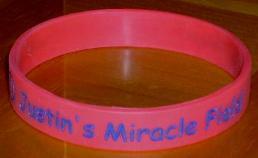 We also have blue bracelets with red script! 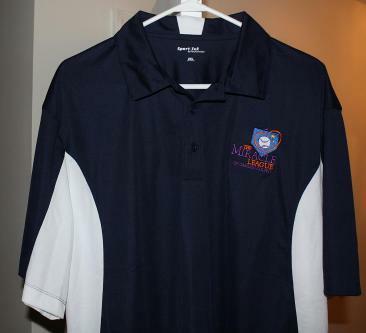 They come in adult and youth sizes and are only $3.00. Youth sizes and 2XL and up are available upon request. 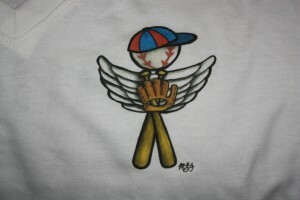 The t-shirt with the Angel Wings is available in men’s and women’s sizes and has “Angels in the Outfield” on the back! All t-shirts are $12 each. Embroidered polos are $30. 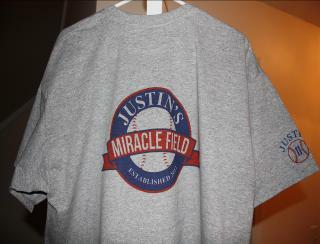 Polos are also available with the Justin’s Miracle Field Logo. Sweatshirts are ordered once we receive paid orders. They will be available approximately one week after we order them. Please call (912) 322-1970 to order one!